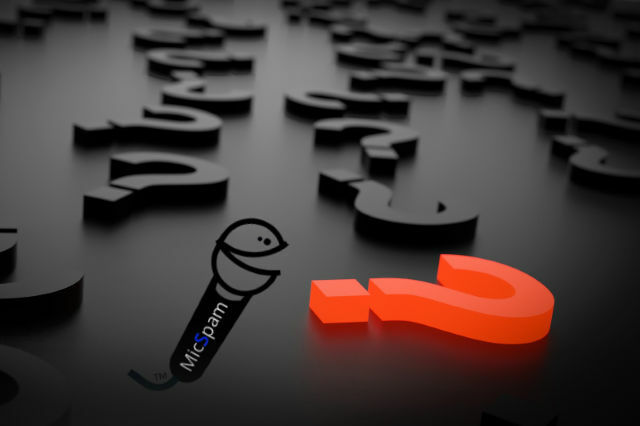 This method is for those who wish to play audio files though the mic or just to mic spam without using external programs, or heck, without having a mic even. In this tutorial, we’ll see how to play music through Stereo Mix (or Rec. Playback – it’s the same thing as stereo mix) that acts as a virtual microphone, FULLY FREE. What Is Stereo Mix (Or Rec. Playback)? 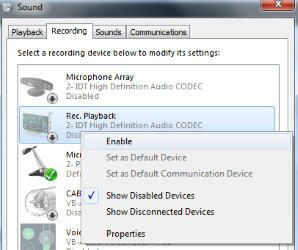 Most audio drivers have a built-in feature for playing back every audio stream coming from your computer, a.k.a system sounds, even that of a microphone if one is enabled. 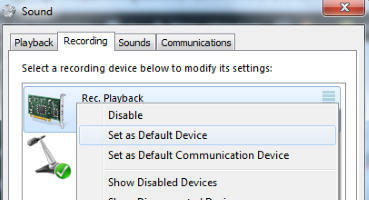 On windows PC, open recording devices. Find and enable Stereo Mix (or Rec. Playback). Make it the default device (that way voice applications, such a game, Skype, Discord etc, will likely use it automatically. And if they don’t, set the voice application(s) to use the Stereo Mix (or Rec. Playback) manually within the voice application’s settings). There are a few ways to check if it’s working or not. 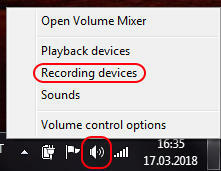 One way is to just look at the bars next to the recording device in Sound settings. If the bar next to the stereo mix is showing any audio signals, it means something is working. To find out if the quality of the audio singals is decent enough, we need some other way of checking that. For that, we could use a recording device. 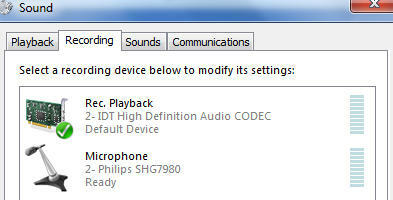 Most Windows Systems should have built-in application that records sounds coming from microphone. 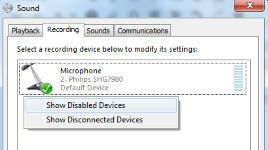 For Windows 7, it should be called “Sound Recorder.” Windows 10 calls it “Voice Recorder.” In the absent of such apps, you can download Audacity (free, open source audio software) and record the sounds coming out of microphone with that. In case you’re panicing and not seeing it in your recording devices, you may just have to right-click and tick “Show disabled devices” in order to see it. They’re disabled and hidden by default. using an auxiliary cable (the 3.5mm ones and the like) for your mic/headset and removing all USB or HDMI devices (you need to restart some apps for it to pick up on these changes).